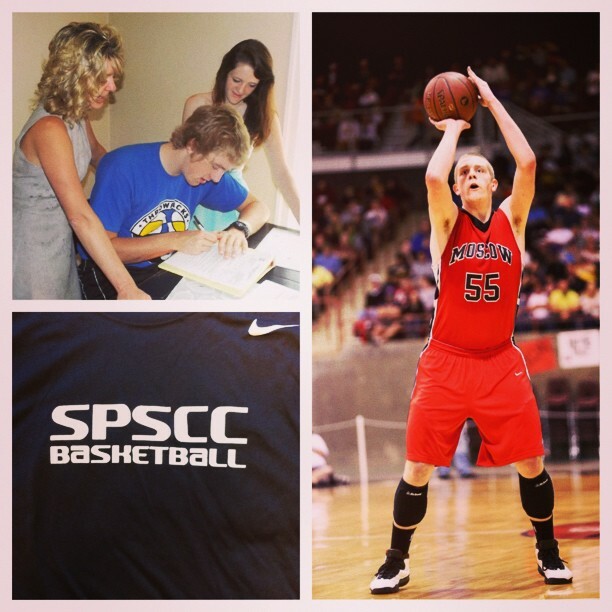 South Puget Sound continues to sign players for the 2013-2014 season. This week coach Aaron Landon announced the signing of Brandon McGurkin, a 6-7 post from Moscow, Idaho and Brian Tyson, a 6-4 wing from Olympic High School in Bremerton. McGurkin helped the Moscow Bears to the state championship game where they fell by just two points to Rigby and Tyson led the Trojans to a 2A Olympic League title. Tyson was profiled by the Kitsap Sun last season and you can watch him hit a 65 foot game winner against Kingston in December by clicking here. Saint Martin’s new head volleyball coach Kara Peterson appeared on the Bryant and Clark Sports Show on KGY today to talk about the upcoming season and the guys talked a little local football. You can listen to the show above. Posted on August 16, 2013, in Basketball, College, Football, High school, Olympia HS, Saint Martin's University, South Puget Sound CC, volleyball. Bookmark the permalink. 2 Comments.